The poetry of Pablo Neruda is beloved worldwide for its passion, humor, and exceptional accessibility. The nearly fifty poems selected for this collection and translated by Stephen Mitchell—widely praised for his original and definitive translations of spiritual writings and poetry—focus on Neruda's mature period, when the poet was in his fifties. 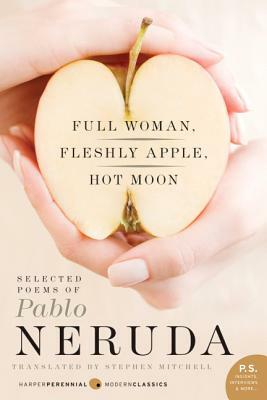 A bilingual volume, with Neruda's original Spanish text facing Mitchell's English translation, it will bring Neruda's sensuous work to vibrant life for a whole new generation of readers. Pablo Neruda (1904-1973), one of the most beloved poets of the twentieth century, was born in Parral, Chile. ?He was awarded the Nobel Prize in Literature in 1971. Pablo Neruda (1904–1973), uno de los poetas más renombrados del siglo veinte, nació en Parral, Chile. En 1950 compartió el Premio Internacional de la Paz con Paul Robeson y Pablo Picasso, y en 1971 fue galardonado con el Premio Nobel de Literatura. Stephen Mitchell's many books include the bestselling Tao Te Ching, Gilgamesh, and The Second Book of the Tao, as well as The Selected Poetry of Rainer Maria Rilke, The Gospel According to Jesus, Bhagavad Gita, The Book of Job, and Meetings with the Archangel.